Just bought a ceiling fan and need someone to install it? We’ve got the most reliable electricians in Sydney to do the job. 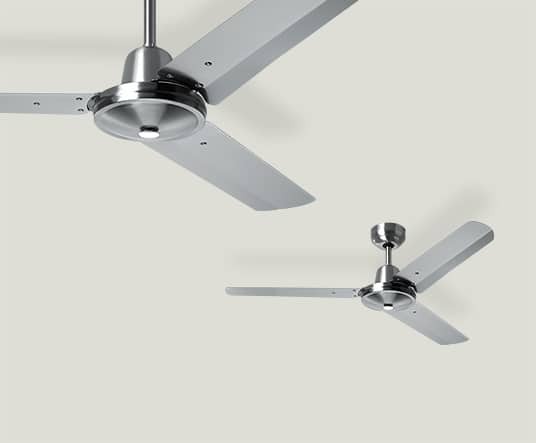 At Quick Connect Electrical, we ensure our electricians provide the fastest and most reliable ceiling fan installation Sydney wide. Ceiling fans certainly are common and preferred permanent fixture for the right reason. Functionally, ceiling fans have numerous advantages over their alternative pedestal fan. Ceiling fans operate the same as the traditional pedestal fans but hangs from your ceiling, and can also incorporate lighting. Ceiling fans are more preferred by many because of it frees floor space, compared to the pedestal or floor fan. We are able to supply and also install a huge range of ceiling fans including both standard and designer models, fan light combos, remote controlled and other varieties of ceiling fan which other electricians in Sydney simply don’t have the knowledge and experience to work with. Call now on 1300 725 894 for your free consultation. Ceiling fans can help make a room feel a minimum of 4 °C cooler as compared to rooms with no moving air. If installed above the kitchen dining table, the moving air enables to suppress flying pests from getting into the area. In addition, ceiling fans may also lower your electrical bill. Ceiling fans can help save on energy usage especially on occasions when the heat is not so high, you can make use of the ceiling fans to help make the room comfortable, rather than turning on the air conditioning system.